I think all Catholics from time to time, are tempted to doubt their faith. I myself have walked through this valley of darkness, weighed down by my baggage of doubts, conflicted by burning questions that seem to find no satisfactory answers. In my search, I felt drawn to the personalism of the Protestant faith, the humanistic theologies of dissenting theologians and the novelty of new age spiritualities. Although, I do not think that my experience is representative of every Catholic, I am convinced that I was, and am not alone in my confusion. There are times when our confident or perhaps even over confident faith, is brought crashing down because of what is presently happening in our lives. There are times when our faith seems so trivial and weak in the face of gigantic threats to our health, our family and our self-worth. When confronted with tragedy, injustice or interior aridity, we lose confidence in God and begin to ask, “Where is God?” To experience these things does not mean that we lack faith. It may mean, however, that we have come up to the limits of our faith, to its frontier in our hearts. We can’t see beyond the present horizon because our faith doesn’t extend too far beyond the present moment. The German Lutheran theologian Paul Tillich once proposed that “doubt isn’t the opposite of faith; it is an element of faith.” In many cases, doubt can be a destructive force that leads a person away from faith. But in other cases, doubt has led people to explore their faith, to investigate alternatives, to seek new understanding and finally this resulted in a deepened faith. However, faith is not a superpower that makes super heroes of us. Faith is not like the power-up we use for our game-characters in order to boost their performance. We must take care to distinguish faith as a supernatural virtue either from religious feelings or sentiments arising from devotion. Neither is faith the equivalent of religious ardour, a spiritual bravado that makes its possessor courageous and fearless. 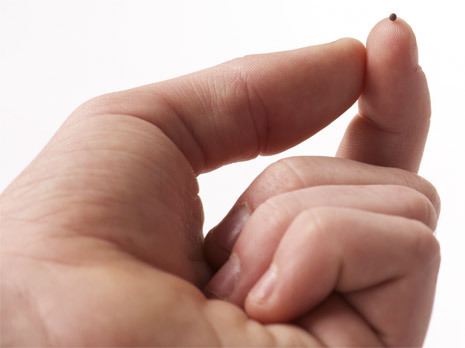 The Lord shockingly reminds them that they do not need a lot of faith, just a tiny mustard seed of faith is enough. By using the uncommonly small mustard seed as an example, Jesus is speaking figuratively about the incalculable power of God when unleashed in the lives of those with faith. In other words, He is saying, “You don’t even need faith the size of a mustard seed. The little bit of faith you have is enough for God to do the impossible in your life.” Today, the Lord is not asking us how much faith we have but rather, what are we doing with the faith that He has already given us. All these beg the question, “What is faith?” Well, the answer has two parts to it. Faith is both a gift, as well as a response. As much as people often try to work themselves up to some level of belief, they must remember that faith is first and foremost a gift of God. We can’t earn it. We can’t buy it. We cannot acquire it on our own, through our own efforts or through any human power. The Catechism of the Catholic Church tells us that “Faith is a gift of God, a supernatural virtue infused by Him.” (CCC 153) In baptism, we are all given the gift of supernatural faith. That is why, unlike some Protestant sects that reject infant baptism in favour of believer’s baptism, we baptise infants. At baptism, the prodigious seed of faith is planted in the child, awaiting to be nurtured by his or her parents and the community of the Church. Since, the gift of faith has to be nurtured, it is also a response. The Church teaches that faith is a theological virtue. And a virtue, says St. Thomas Aquinas, is a habit, a power or capacity that gets stronger when it is exercised and atrophies when it is not. So picture this, faith is like a spiritual muscle. Faith takes practice. It takes discipline. You exercise it by making acts of faith both in prayer and action. People who do nothing about the gift of faith received at baptism can lose it. The Catechism tells us that “to live, grow and persevere in the faith until the end we must nourish it with the word of God; we must beg the Lord to increase our faith; it must be “working through charity,” abounding in hope, and rooted in the faith of the Church” (CCC 162). Though many choose to develop their faith, many others unfortunately do not. There is no denying that we live in a world of decreased faith. The problems on all fronts seem to be escalating: people are scared and scarred. We are experiencing one of the worst financial crisis in decades and many stand hapless as we witness the blatant corruption of officials and a government that frustrates many people. All of our systems - education, economic, political - are in some kind of crisis. Even religion isn’t spared. Whether one chooses to pay attention to it or deny it, sheer realism compels us to admit that there is also a crisis of faith in the Church. Young people abandoning the faith of their childhood, regular church attendance is at a low, aging parishes, a shortage of priests, declining religious vocations and growing numbers of self-identified Catholics who dissent from Church teaching. What do we make of all this? How much faith are you running on? A full tank? Half a tank? Dangerously running close to empty? Instead of lamenting about your meagre supply of faith, the gospel today invites you to bring your own mustard seeds of faith, in many different shapes and sizes, in the hope that God will make good what is lacking. There is enough faith in this room to change the world. If only we have the courage to believe. If you are struggling with your faith, or wondering how your faith life fits into the rest of your life, remember this – keep praying, keep believing, keep practicing. When you are running on empty and you can’t remember the last time you prayed, trust and believe that you have been given a supernatural gift at baptism, a gift more powerful than any super-human power, a gift that can cast out demons, heal the sick, allow you to walk on water, uproot trees and even mountains, but more importantly a gift that can lead you up Calvary and take you through the narrow door of salvation. Have faith!